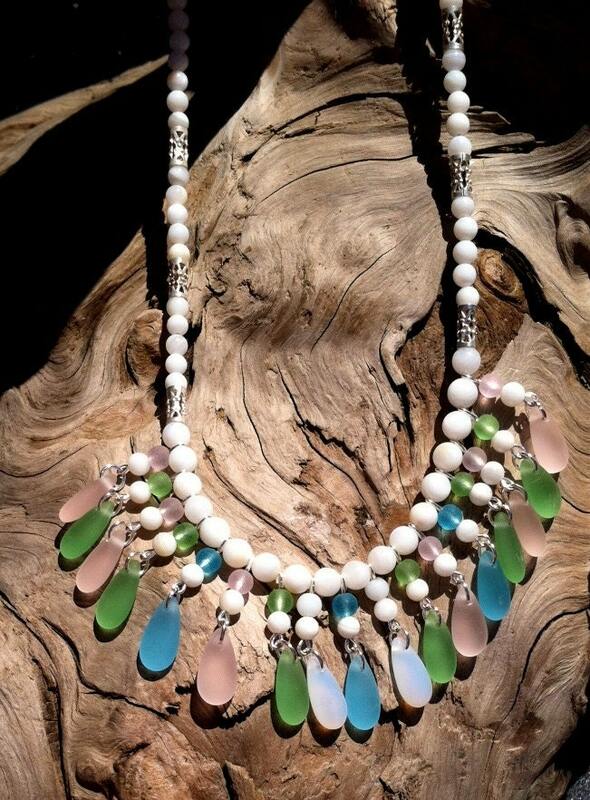 This is such a bright happy necklace and earring set! Great for Spring and Summer. 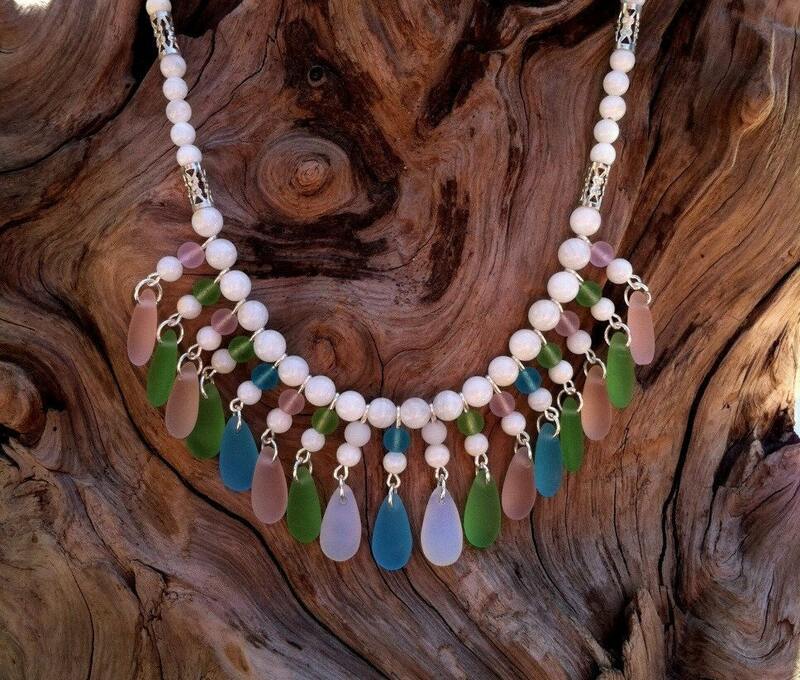 Gorgeous white shell beads pair so prettily with the light pastels of the sea glass. Lovely metal beads make sweet accents. The necklace is under 19" long. 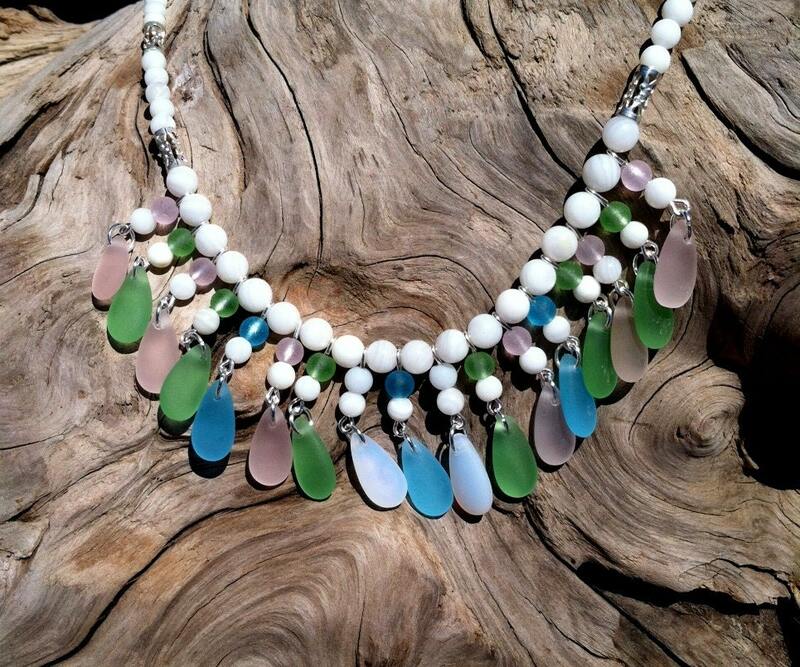 Be sure to check out my other Sea Glass Jewelry. I have many different colors and designs!